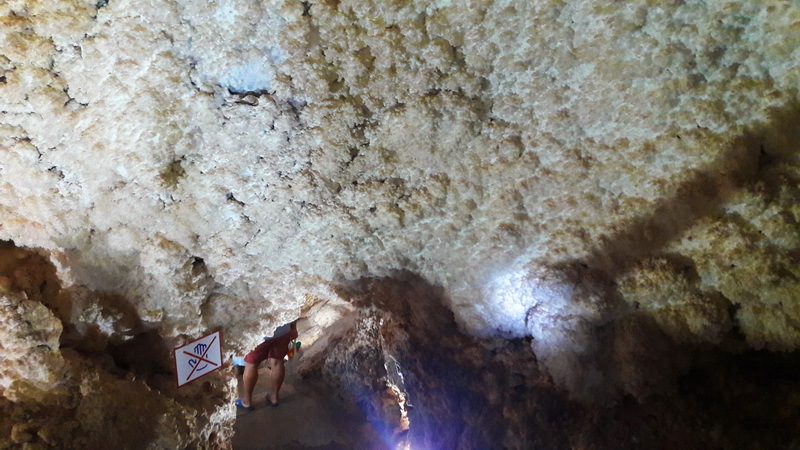 Kaeo Komon Cave has many calcite crystals on the walls and ceiling. 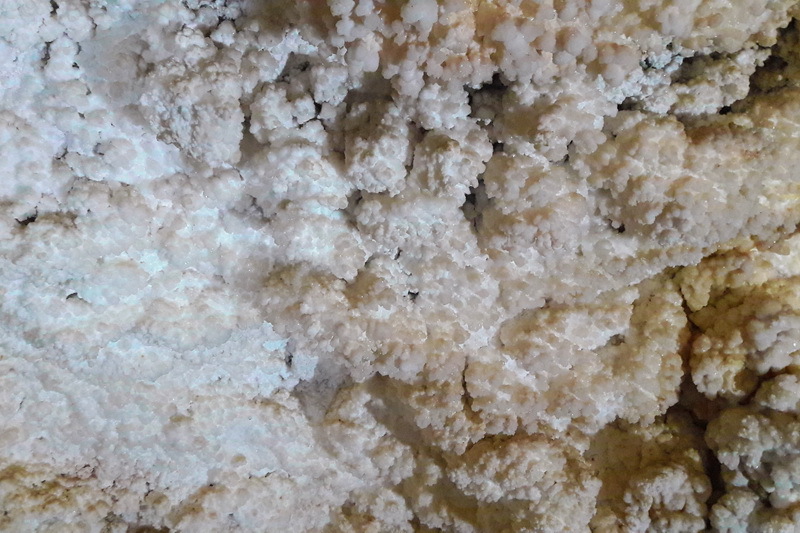 The crystals have various shapes such as shining small snow-like white color that are so distinct in the cave, brown crystals similar to coral reef, curtain-like, ceiling light or shining stalagmites and stalactites. 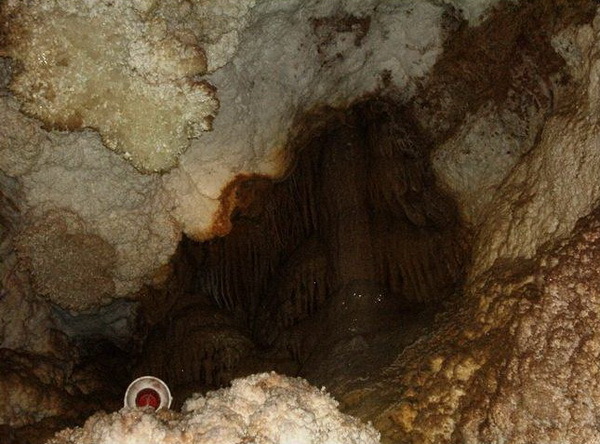 Kaeo Komon Cave is noted as being the only calcite cave in Southeast Asia and was discovered by Mae Hong Son official engineering officer. 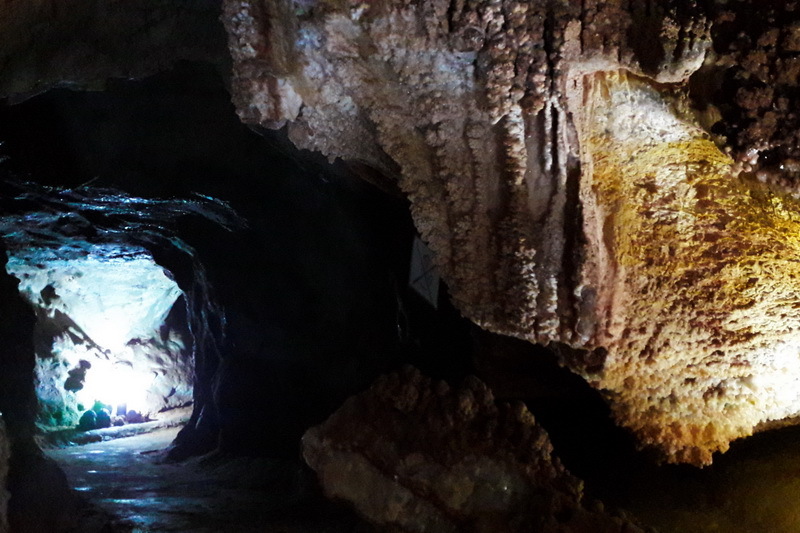 Tham Kaew Komol was discovered over 20 years ago by mining operations, but was not opened to the general public because of its fragile condition. A major effort has recently been made to develop this unique cave as an important tourist attraction, culminating in the Queen’s visit in the year 2000. A specially constructed tarmac road leads right to the cave entrance, where there is a car park and a visitor information centre. The cave itself has been equipped with a permanent walkway, energy saving flourescent lights and an air circulation system, which is only used for VIPs due to concerns of the adverse effect on the cave environment. Crystals originally covered every available surface and even now are very impressive despite vandalism in the early days after it was discovered. 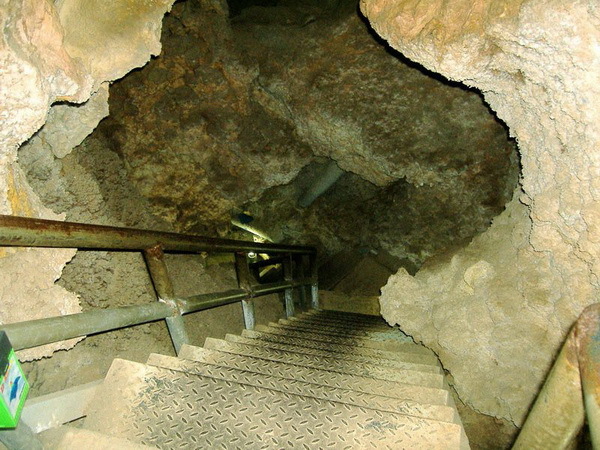 Kaeo Komon cave was formed by superheated water from deep underground forcing its way upward along the line of weakness at the limestone/shale boundary and dissolving the limestone in the process. 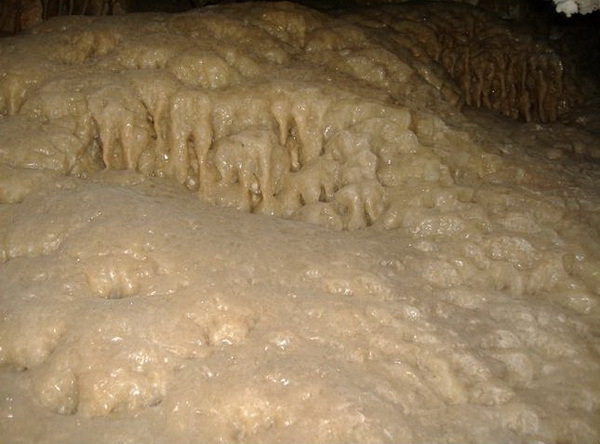 The cyrstals developed slowly under conditions of high temperatures and very low oxygen levels, probably when the cave was completely filled with water. These special conditions have created a fabulous growth of crystals quite unlike those seen in normal caves. 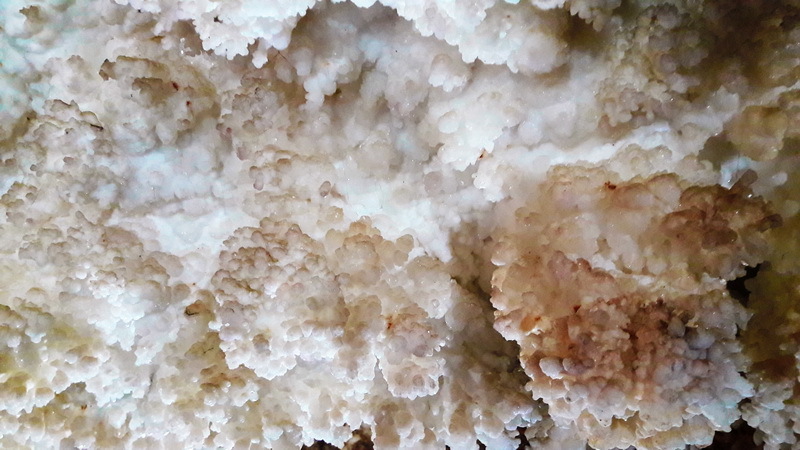 Since the cave was opened up to the outside air these hydrothermal cystals have stopped growing and are now being smothered by stalagctites and flowstone. There are five beautiful halls in the cave. Walking in and out takes about 20 minutes. No hats, coats, backpacks or cameras allowed inside. Only a flashlight which you don’t necessarily need for the cave is well lit. However, since the cave is a cavern deep underground and the atmosphere might not be very airy, those who are not healthy of for enough should not enter this cave. 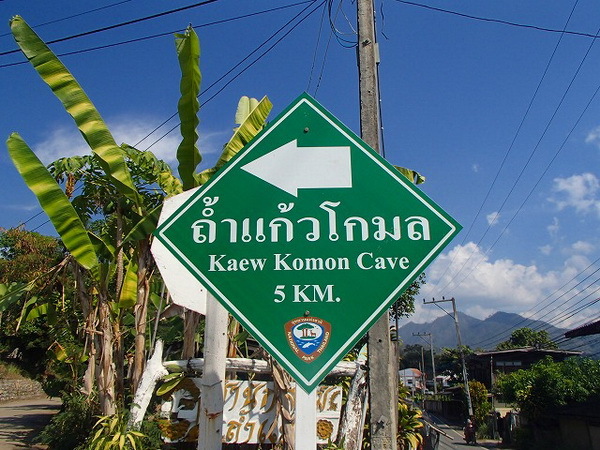 Kaeo Komon cave is located in Kaeo Komon Forest Park, 6 kms east of the mid-town Mae La Noi market. From the main highway 108 from Khun Yuam district, turn left along the way to Ban Toong Sarapee for 5 kilometers. The entrance fee is 80 baht, includes the truck service up & down the steepest hill from the ticket booth.